Natural Solutions is a new healthcare clinic based in Bedford and Clapham providing Osteopathy and Complementary Therapies. I’ve been working with them to build a new website, an online booking system and social media content. 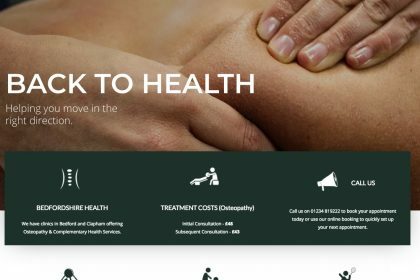 The website is based upon the WordPress framework, and features custom Google Maps, Mailchimp integration plus an online booking system using Cliniko (referral link), which allows their patients to quickly and easily make a booking online. 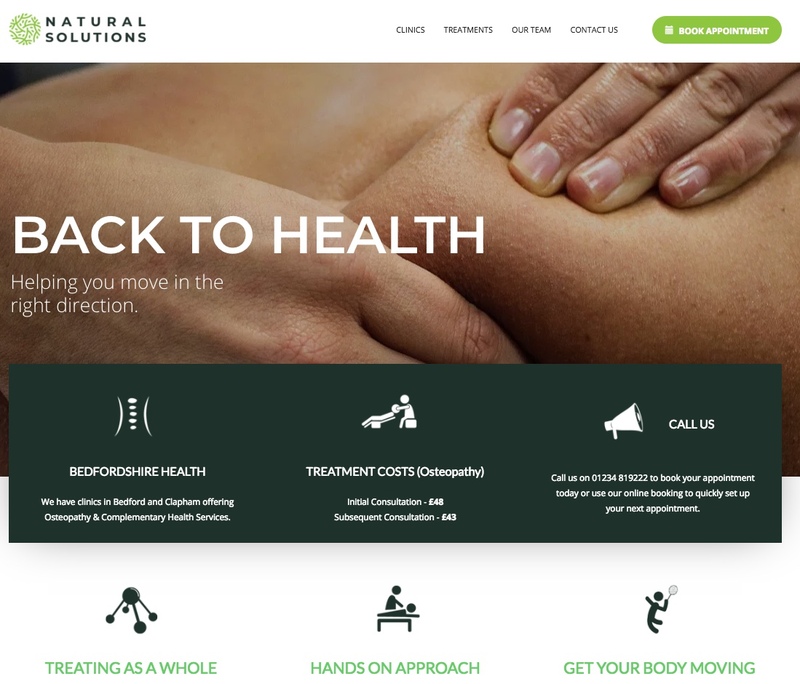 This site is an ongoing project and I’ll be working with Natural Solutions to build content and establish their online presence as they grow.